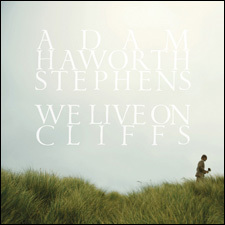 At long last the release of We Live On Cliffs is now available for PRE-ORDER! It is not in stores until SEPTEMBER 28, but if you order from SADDLE CREEK we will ship it out to you on SEPTEMBER 14! On SEPTEMBER 6 you will receive a link to stream the album in its entirety. On SEPTEMBER 14, you will receive a download code to download the album! We are also offering a few extra items like an exclusive t-shirt and a limited edition silkscreened 12×12 poster some stickers, buttons, etc. YES! I just bought the “I Want it All” package! and I can’t wait ’till it comes! Thank you guys so much for making this available!